The School of Accountancy, Business and Hospitality (SABH) organized the first collegiate alumni homecoming in the history of the University of Saint Louis (USL) held last Dec. 30, 2017 at USL. Mrs. Karen Joy Annang-Catacutan, one of the organizers of the event and head of the University’s Center for Business Research and Development, said the event aimed to foster close relationships among USL−SABH alumni and to establish long-term partnerships among themselves. With around 300 alumni in attendance, the homecoming was accordingly held to also encourage responsible alumni involvement and participation in the school, community, and extension activities. 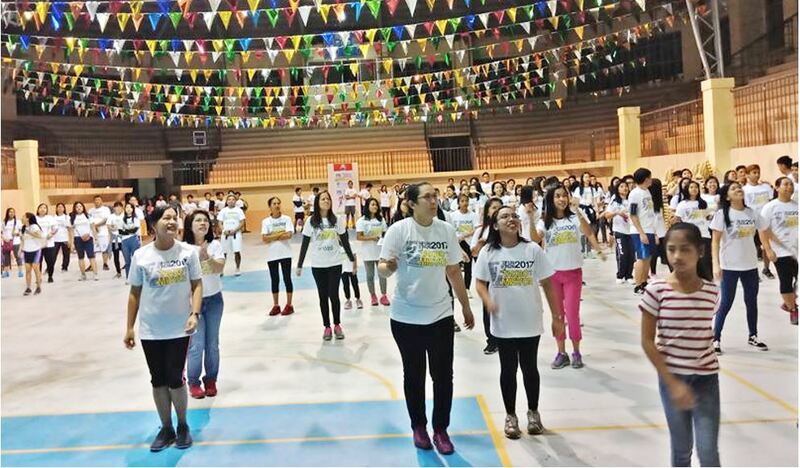 The activities conducted during the event were: zumba, fun run, morning agape, ‘bingo for-a-cause,’ election of alumni officers, and free legal counseling. In the event, alumni who have distinguishable contributions as leaders in the local and national communities and in their fields of chosen endeavor were also recognized. Among the SABH alumni who were present during the homecoming were: Mr. Rolando Caypuno, former dean of the then School of Business Administration and Accountancy; Mr. Richie Jackson T. Padilla and Mr. Jackson C. Apostol, both top one in the 2008 and 2013 Certified Public Accountant (CPA) board examinations, respectively; Ms. Raamah Elisha Dadhwal, former SABH governor; Hon. Queenie Abel Mallillin, judge at the 1st Municipal Circuit Trial Court (MCTC), Claveria-Sta. Praxedes-Calayan, Cagayan; and other notable graduates from the different batches of the said academic department. The other schools/departments of the University are expected to follow similar endeavor of SABH.